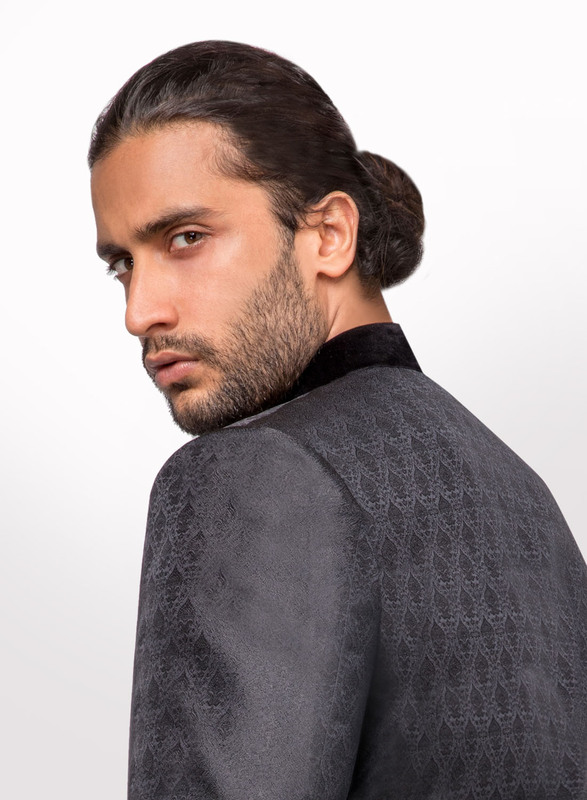 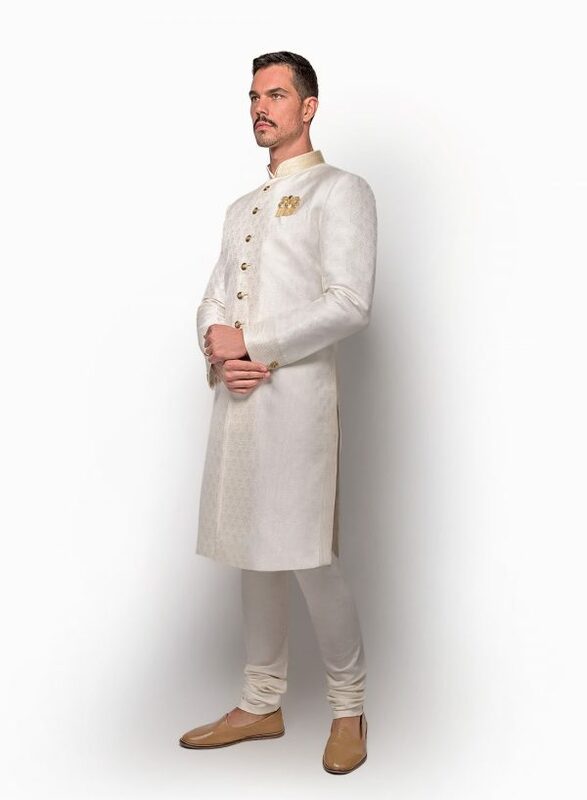 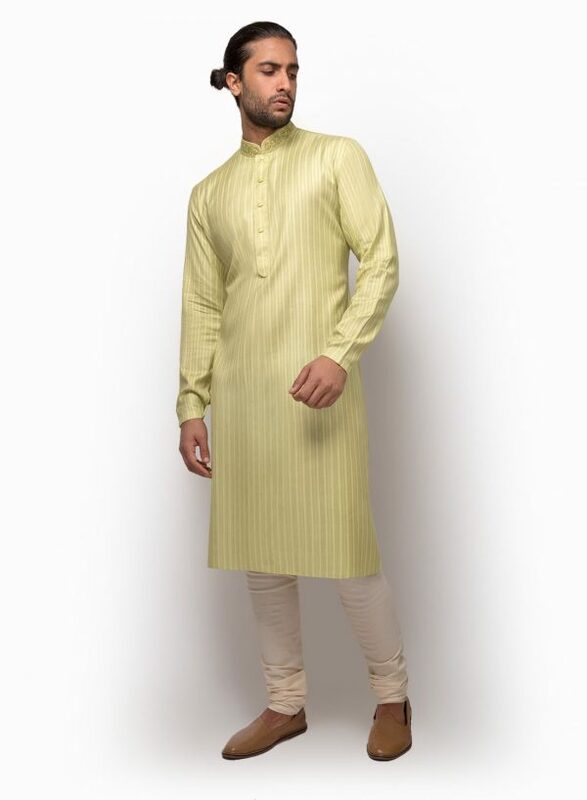 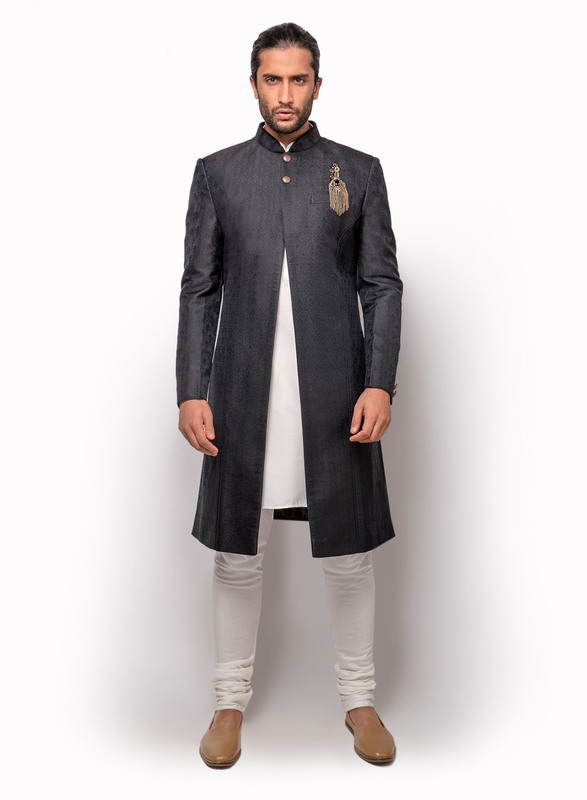 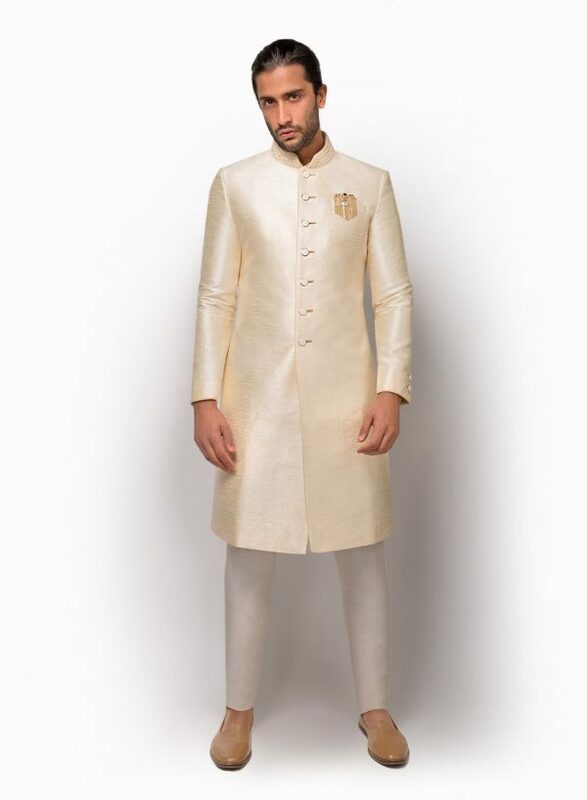 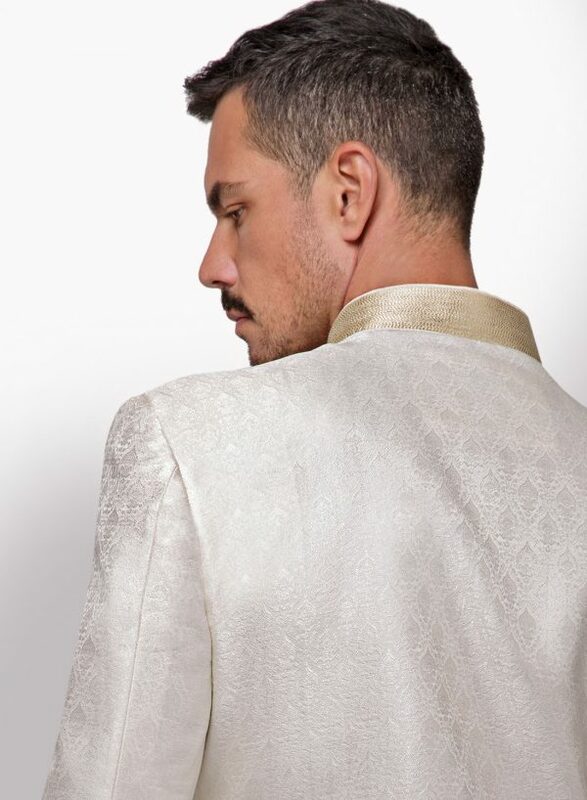 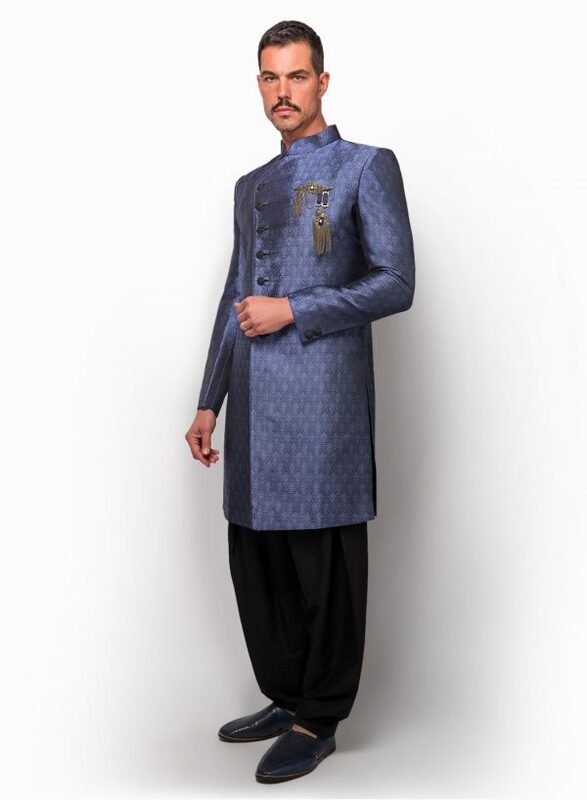 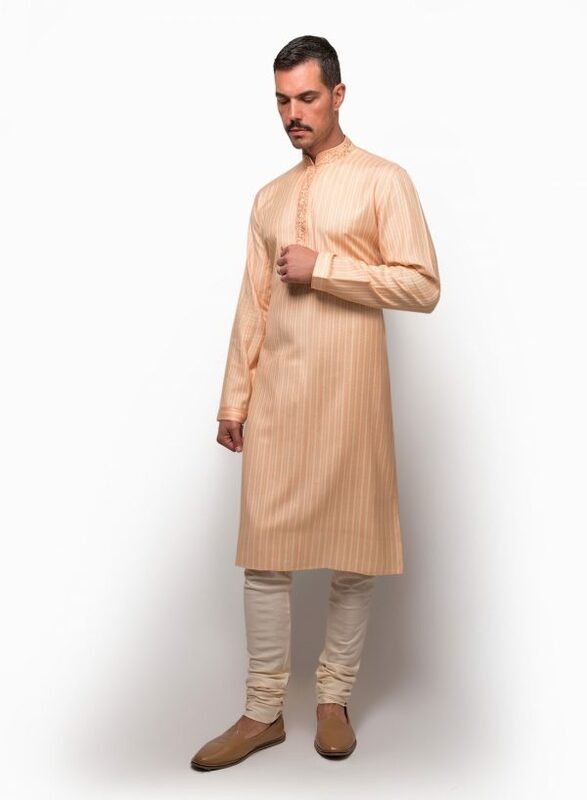 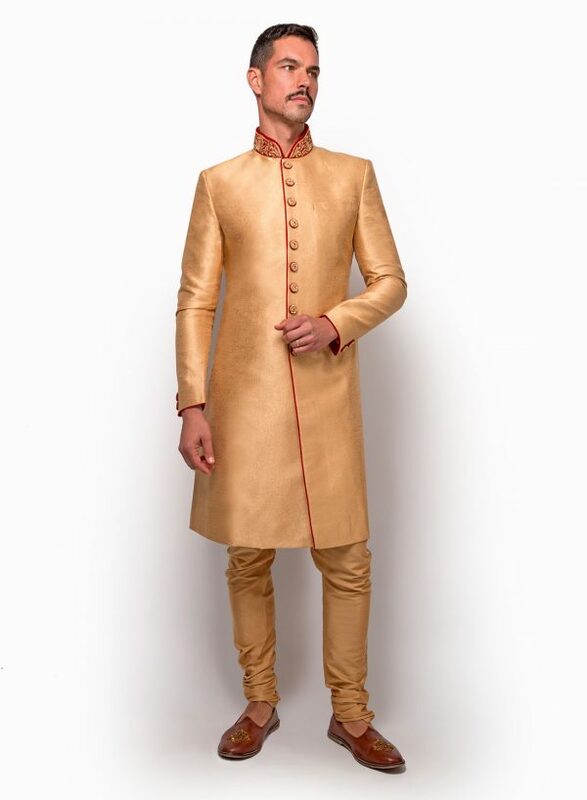 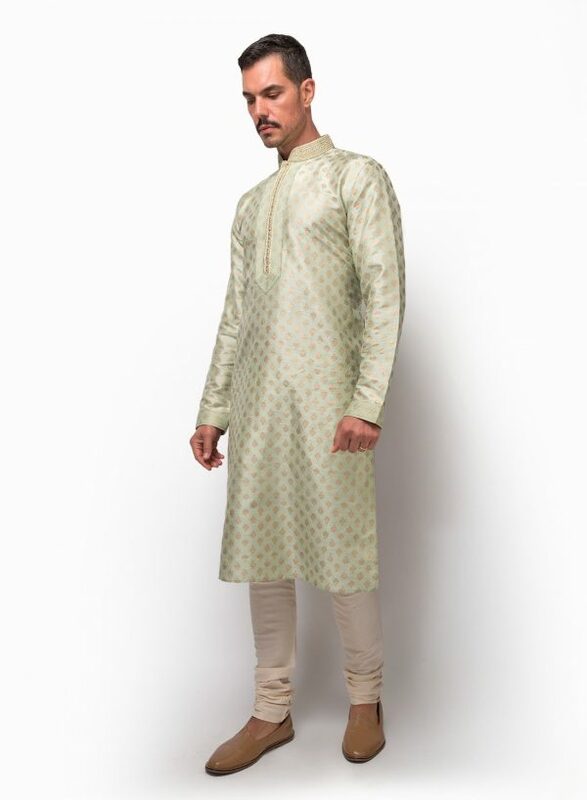 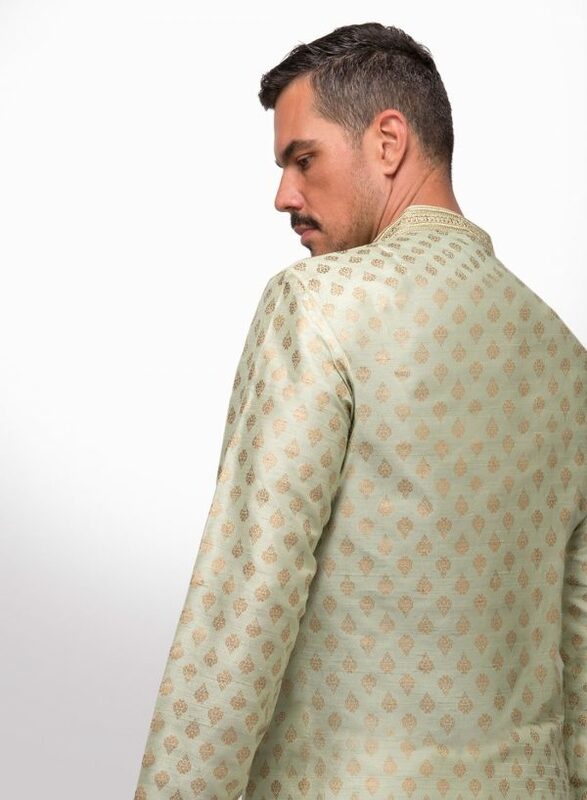 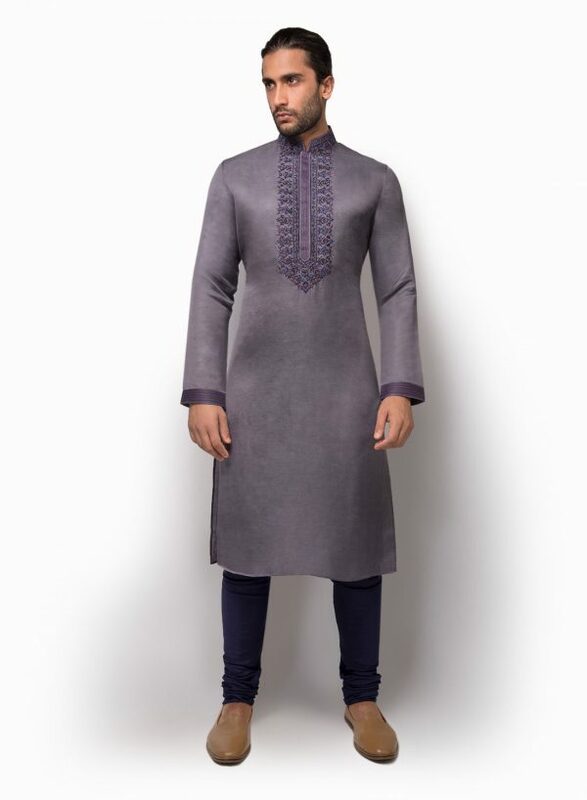 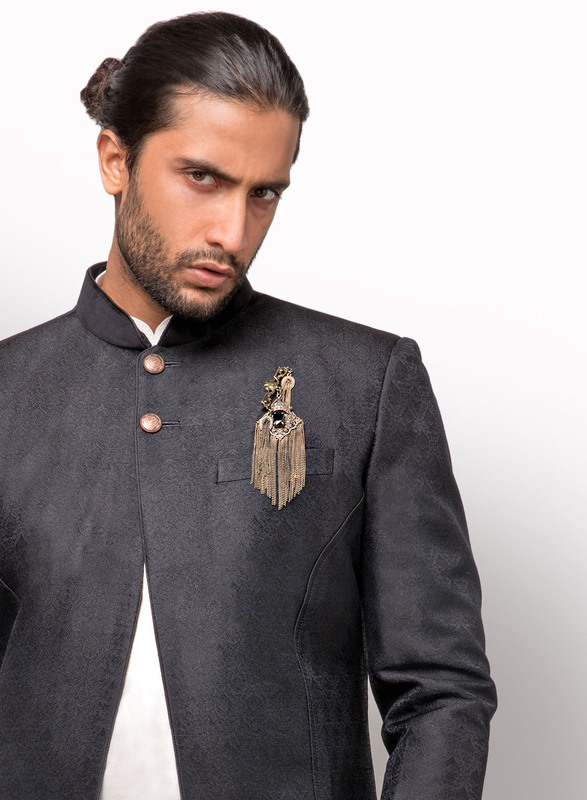 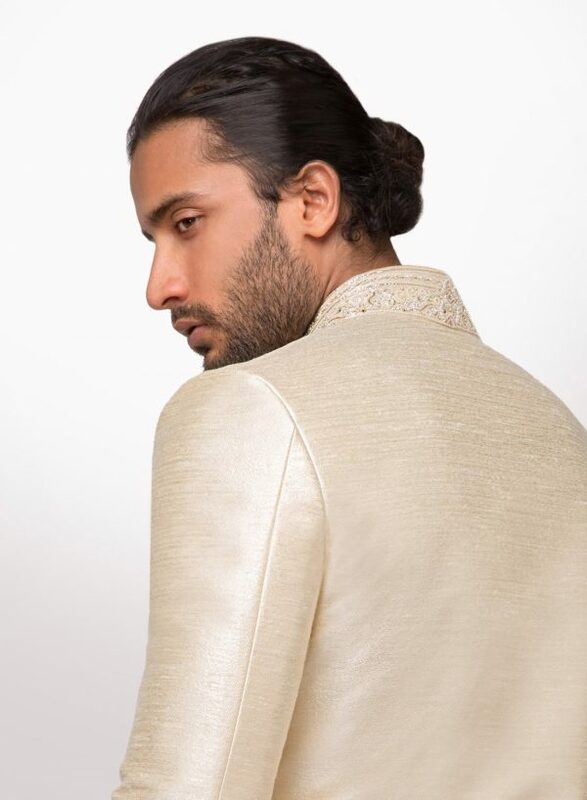 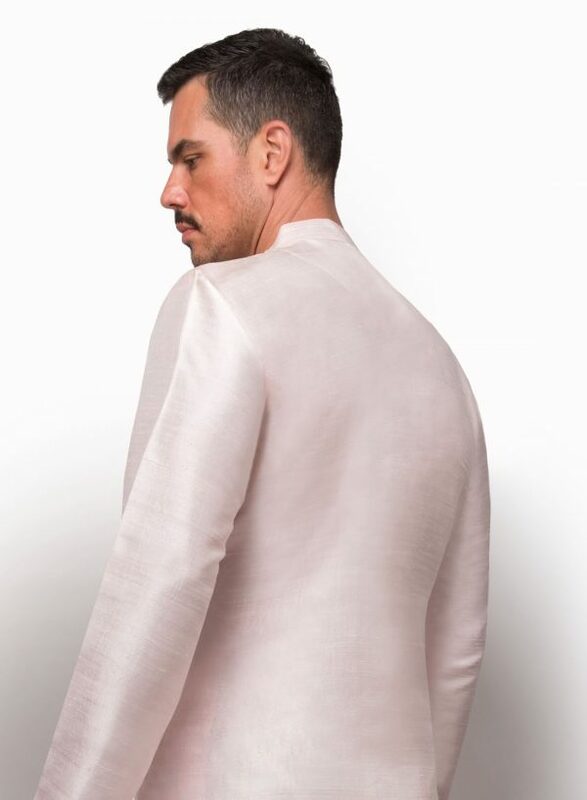 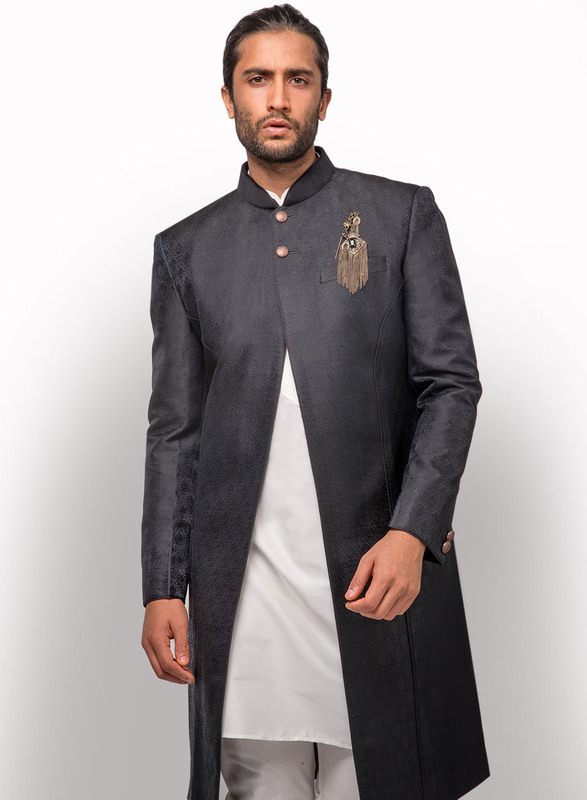 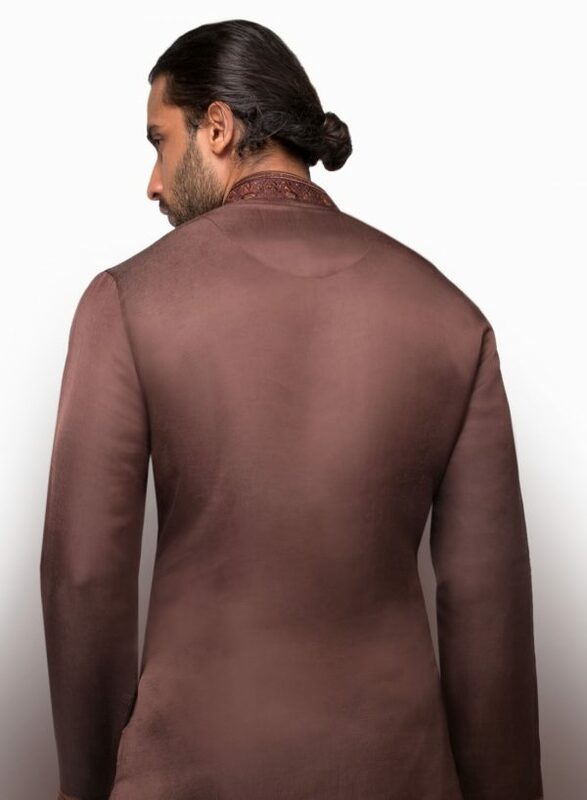 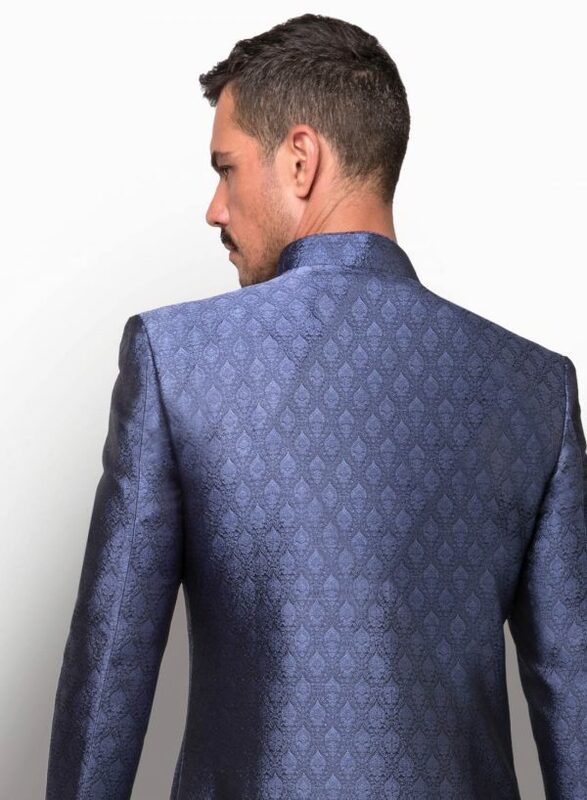 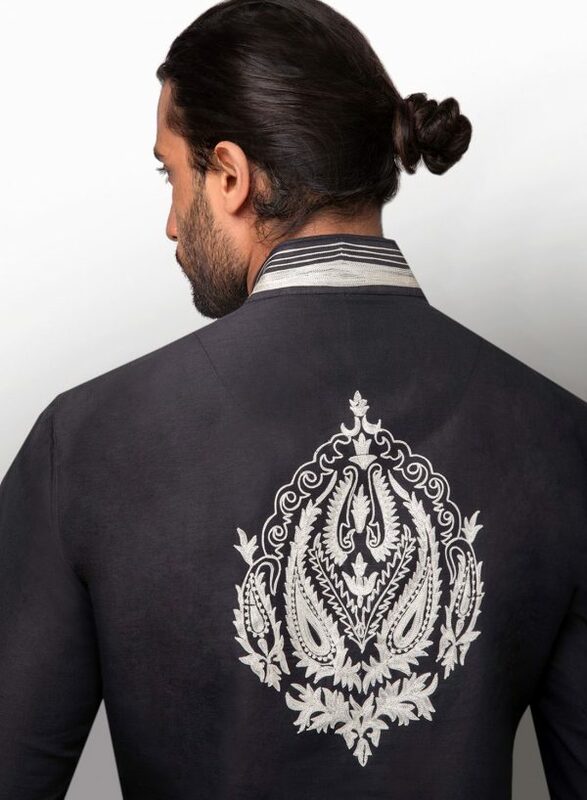 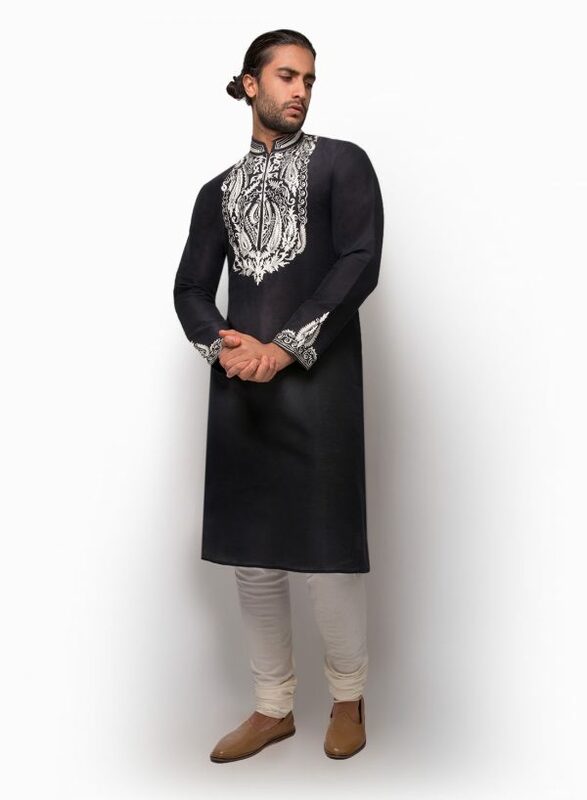 Black Blended Silk Jamevar Sherwani Jacket with Cream Churidar Trousers. 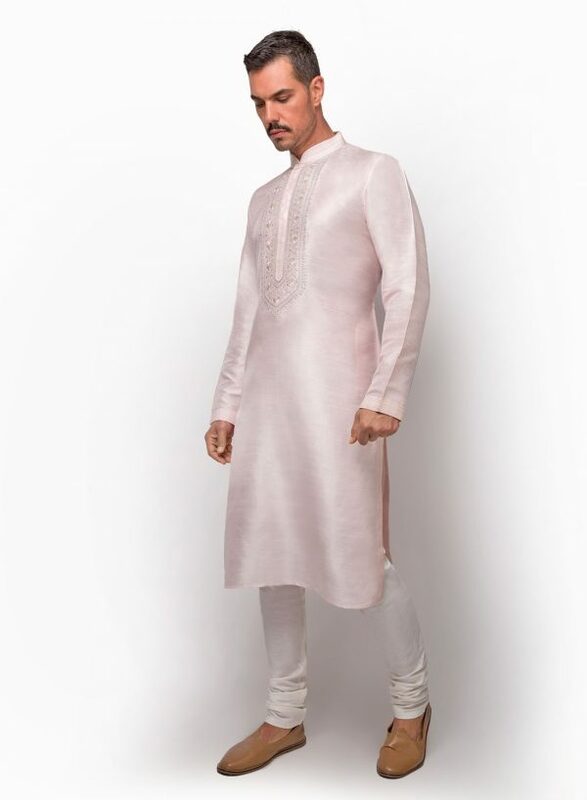 (Additional colours available). 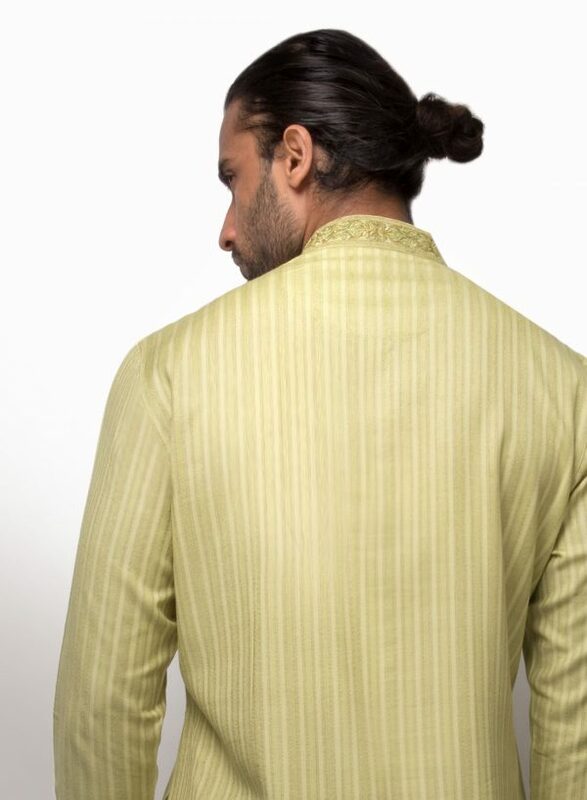 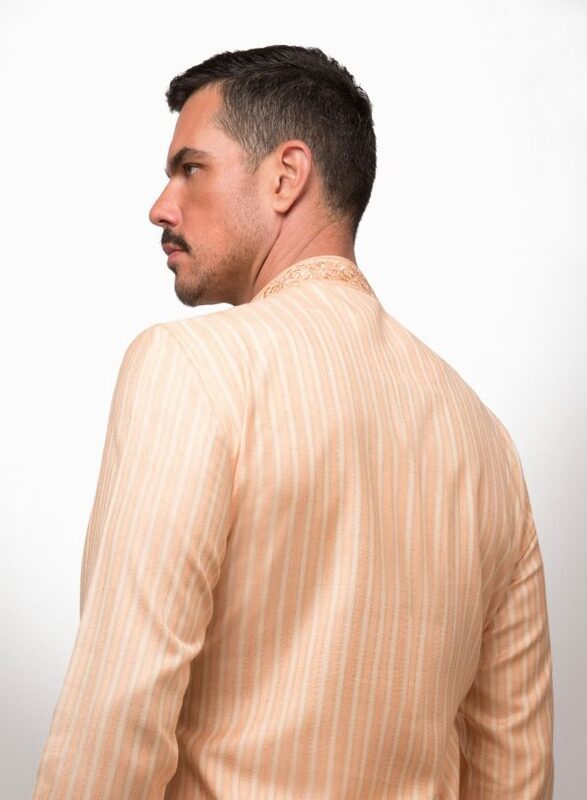 2-button opening with breast pocket. 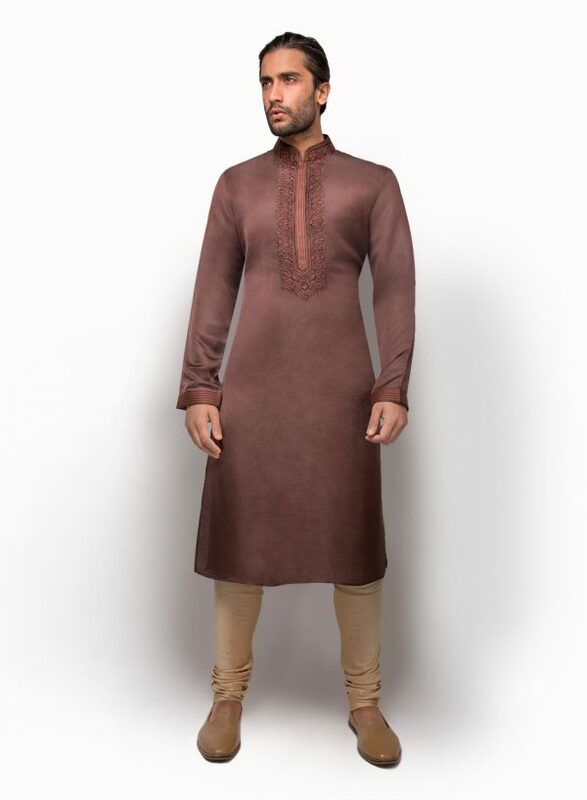 This item will be custom-made to your measurements to achieve the perfect fit.